You are here: Home » Kathy Jackson versus Craig Thomson. And the winner is? 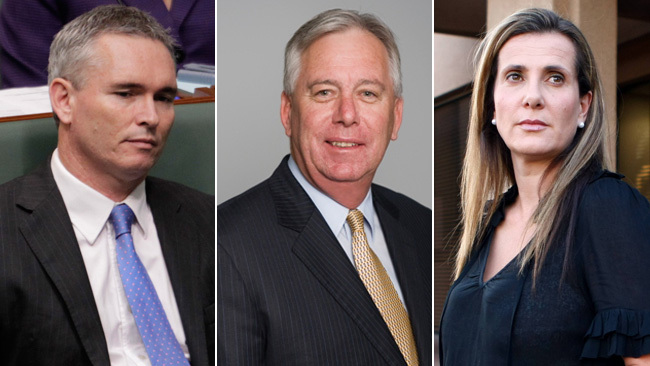 Fraud and theft at the Health Services Union (HSU) by Kathy Jackson and Craig Thomson is coming to its conclusion with recent court judgments but the ramifications of their actions will be felt for years to come. The big winner out of all this is the Australian public and maybe some HSU members, but not all, as the corruption at the HSU continues full-speed ahead. There is plenty more to come in the HSU fraud story at the Trade Union Royal Commission so it is worth recapping where we are at and reviewing some of the things we have learned. Kathy Jackson and Craig Thomson have ended up major losers with their reputations trashed (Google their names) and left bankrupt. I think Thomson has not yet been declared bankrupt but that might not be for much longer. There is another court penalty hearing due in November 2015 for Thomson in relation to the Federal Court judgment handed down on Friday where he was found guilty again of ripping off the HSU hundreds of thousands of dollars. Some still argue that Thomson and Jackson have not faced justice as they are not in jail like Michael Williamson and will get away with their crimes. But they haven’t. How do we know? Ask yourself if you would swap places with them? On the 19th August 2015 Kathy Jackson was ordered to repay $1.4 million to the HSU by the Federal Court. A few days ago Kathy Jackson filed a Notice of Appeal. Ms Jackson has also apparently recorded an interview with the ABC’s Four Corners program. So I suspect we will be hearing more from Ms Jackson. It is worth noting that the Labor Party and Unions attack Ms Jackson every chance they get. Yet they say nothing or very little about Craig Thomson and Michael Williamson. Mr Thomson is the former federal member for Dobell. How much he stole from the HSU is unknown but it could be $1 million or more. He will go down in history as one of the biggest compulsive liars to have ever entered parliament. And that is a big achievement given the quality his competition. The man has no shame and he used the protection of parliament to falsely blame others for his crimes and accuse others of further crimes against himself. He also used his family for a photo spread for a Women’s magazine to deny his fraud and theft. The problem was that the whole country had already seen the documented evidence of Thomson’s use of the HSU credit card to visit a brothel as per below and his lies didn’t add up. 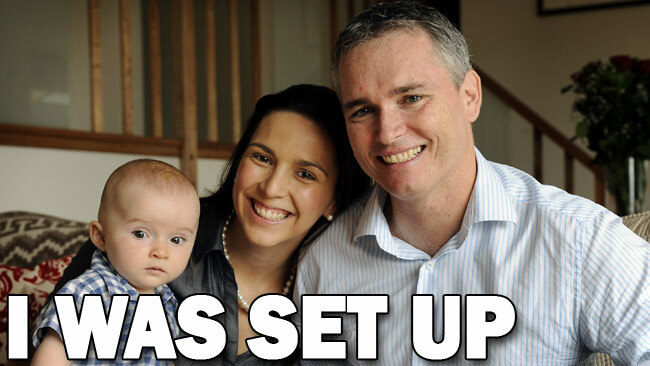 Craig Thomson gave his legendary speech to Federal Parliament on the 21st May 2012. It will go down in folklore as one of the most disgraceful episodes that parliament has ever seen. He lied, deceived and did everything under the sun to try and blame others and lie his way out of the problem. He even managed to make himself cry in an attempt to get sympathy. The speech went for about an hour and below is only 7 minutes of the speech but covers some of the more scandalous parts like his fake crying. Stealing is ok. Just don’t dob. The Labor Party still has people working behind the scenes and trolling social media trying to restore Craig Thomson’s reputation. They will tell you it is all Kathy Jackson’s fault and that Mr Thomson did nothing wrong. An example is that Senator Stephen Conroy recently used parliament to attack Kathy Jackson. I do not recall him ever using parliament to attack Craig Thomson. It might have something to do with the fact that in 2012 Senator Conroy along with Bill Shorten used the HSU offices to try and bring down Jackson. What has happened at the HSU has been hugely educational for the Australian public. It has taken us right inside the inner workings of a Union and many other Unions work the same way or similar. It is just that they have been able to keep their fraudulent ways covered-up. At least until the Trade Union Royal Commission anyhow. It has also been extremely educational for the next batch of journalists that will keep the politicians honest. And that is the social media journalists. The Trade Union Royal Commission should have further hearings into the HSU soon which should expose continued and ongoing corruption at the HSU as I wrote a few weeks ago. Admin: I have set up a new Facebook page for this website. (Click here) The purpose of it is to help promote and drive traffic to this website. The more traffic this site gets the higher it goes up the rankings of search engines etc and the more people that read the posts. Which ultimately means the more influence this site and its supporters will have in exposing corruption. So if you use Facebook it would be appreciated if you go the page and click on the like button. Simply by doing that you are doing something in the battle against corruption. ← Canning by-election. Will it decide the fate of Tony Abbott and Bill Shorten? How they squirm when caught. One can only hope that the Judge is a JUDGE. It annoys me that Craig Thomson’s speech given to defend himself in parliament was a pack of lies to follow MP’s and the Australian public. It seems he gets away with it being unaccountable for his actions as an MP. Any parliamentary pension and any other entitlements should be removed from such MP’s, including ex-MP’s where they have been found to abuse parliament priviledge. We need to make MP’s more accountable. I just noticed the fb page and have recommended a heap of my fb friends to join up. A great idea and will extend your coverage many fold Iâm sure. 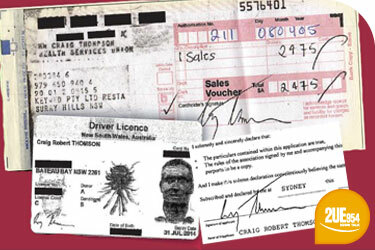 Is it now time for the Privileges Committee of OUR Parliament to ask Craig Thomson to explain himself. I believe that the Privilieges Committee can impose a jail-term of five years. Obviously he is not getting jail in court anymore and indeed he will declare himself bankrupt. But I feel strongly that the should be punished for what he said in OUR Parliament and indeed accused other people falsely. I also feel, he should not get away with this as well as all the crimes his QC worked away in Victoria. This guy kept Gillard and her corrupt government in office, remember Ms Gillard said in Parliament: “I have full confidence in the Member of Dobell’. You are absolutely correct! he kept a corrupt government in power. Gillard was just as guilty, she knew he was lying, yet supported him all the way. He should not be allowed to get off so lightly. Corruption is rife in Australia. I don’t believe he was the only one enjoying sexual services, that was a very big bill for one person. He will be well looked after, just to keep his mouth shut. I thought telling deliberate lies in Parliament is a jailable offence? Isn’t it misleading Parliament? When such rules are not enforced, if makes our system look like a joke. I recently asked my local member (Andrew Southcott, who is useless) to update me on the status of the privileges committee into Thomson. He informed me that it is still open. Tell me something I didn’t already know. It seems now that Thomson is of no more political use, it’s no longer important. The whole system is a joke.